I've decided that the time has come for me to address Cadillac's new naming scheme, which is a hot-button automotive topic affecting a vast array of Americans, from the nation's airport limo drivers to its funeral directors. For those of you who aren't quite sure what's going on with Cadillac's new naming scheme, please allow me to explain. A few weeks ago, Cadillac announced that it will soon retire its current naming scheme, which consists of three-letter designations such as ATS and CTS, in order to focus on an entirely new strategy. This new strategy will still involve three-digit designations, but now the first two characters will always be "CT," while the last one is a number that changes based on the vehicle's size. For instance: drivers who buy the new luxury flagship will get a "CT6." Drivers who buy a CTS will maybe get something like a "CT3." 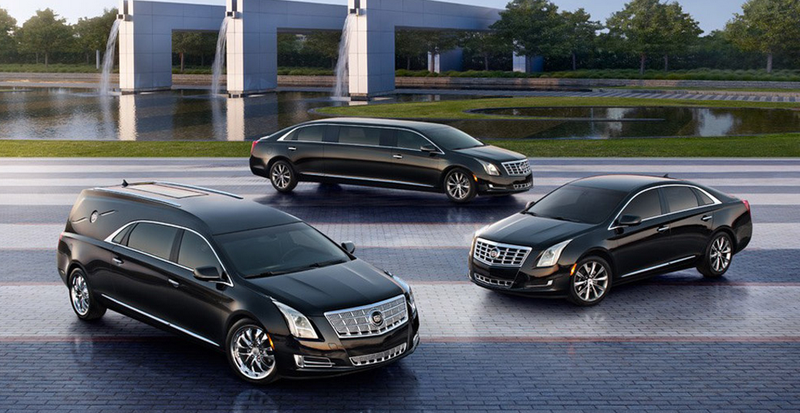 And drivers who buy the XTS will get a complimentary set of adult diapers. OH MY GOD HOW COULD CADILLAC POSSIBLY DO THIS?! I LOVE THE CURRENT NAMES! I LOVE THE XTS!! HOW COULD YOU POSSIBLE COME UP WITH A BETTER CAR NAME THAN "XTS?" IT HAS EVERYTHING YOU NEED! AN "X!" A "T!" AN "S!" IT'S POETRY!!!! POETRY! FOR CHRIST'S SAKE, MY GRANDFATHER HAD "XTS" EMBROIDERED ON HIS ORTHOPEDIC BACK PILLOW!!! I, however, take a slightly different approach, in the sense that I think Cadillac's new naming scheme is absolutely brilliant. And today I'm going to tell you exactly why, although I suspect you're already in the comments section, writing some long remark about how the "ATS" model designation cured your father's colon issues. HOW COULD YOU GET RID OF A STORIED NAME LIKE DEVILLE?!?!? IT DATES BACK TO THE FIFTIES! THE FIFTIES!!! FRANK SINATRA DROVE A DEVILLE!!! ELVIS DROVE A DEVILLE!!! MY FATHER HAD A BROG-HAM! A BROG-HAM! AND I USED TO CLEAN THE VINYL TOP UNTIL IT GLISTENED IN THE SUN! FOR CHRIST'S SAKE, MY GRANDFATHER HAD "DEVILLE" EMBROIDERED ON HIS DENTURES!!! So there was a huge uproar, but Cadillac stayed the course, and after a while everyone got used to the names that they had initially complained about so angrily. We grew to like the CTS, and we grew to accept the STS, and we grew to tolerate the fact that grandma would be buying a DTS no matter how many times we told her she didn't need a $54,000 car to go to the hairdresser. Now, here we are, ten years later: Cadillac wants to change again, and once again people are up in arms. I call this the "Facebook syndrome." Every time Facebook changes its layout, people complain, and scream, and yell, and call their congressperson, and insist that Facebook will never see another penny of their hard-earned money. And then they get used to the layout, and their anger subsides, until eventually, when Facebook changes its layout the next time, they scream, and yell, and complain, and insist they're going to find a different way to waste time at work. This is exactly what's happening right now with Cadillac. Now that we've covered the fact that this decision won't sink Cadillac, it's time for the part of my argument where I tell you why this decision is a brilliant one. For this, I turn to the Audi naming scheme of the 1980s. Here's what you had: there was the 80, which was also sometimes called the 90. It had a coupe version, called the Coupe, and a performance model, inexplicably called the S2, or the RS2 when it was a station wagon. There was the 100, which was also occasionally called the 200, and whose performance version was the S4. I have no idea why. And then there was a V8 model called simply the V8. Things were in complete disarray, and occasionally the cars killed people. So Audi simplified. The small one became the A4. The middle one was the A6. The big one was the A8. The dangerously unreliable one was the Allroad. This made sense. People understood this. And look at Audi now: they've attained tremendous success selling a wide range of high-end vehicles, even though they're all dramatically underpowered and most of them have CVTs. Although a lot of auto enthusiasts don't realize it, Cadillac is in Audi's old position right now – a fact that's painfully obvious to Johan de Nysschen, who initially came from Audi. Yes, it's true that all of us auto enthusiasts know that the ATS is the small one, and the CTS is the medium-sized one, and the ELR is the electric one that only GM retirees buy. But most people have no idea what these random letters mean. To prove my point, consider this: if you walked up to a random guy on the street and asked him "What's an SRX? ", would his response be: "It's a Cadillac!!"? Absolutely not! It would be: "Stay away from me, you freak!" So I think Cadillac is doing the right thing by creating a linear naming scheme that will help identify exactly where each model fits into the brand's lineup. It may not make sense now, but mark my words: in ten years, your grandfather will have "CT6" embroidered on his floral-patterned couch.